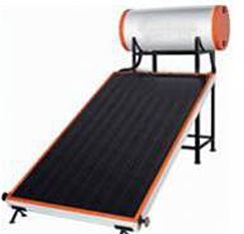 A flat plate solar collector consists of a metal box with a glass cover or a plastic cover called as glazing which is on the top and a dark-colored absorber plate is on the bottom. The sides along with the bottom of the collector are insulated in order to minimize the heat loss. Over here, the Sunlight passes through the glazing and strikes the absorber plate. This indeed heats up the changing solar energy to heat energy. The heat is transferred to the liquid that is passing through the pipes attached to the absorber plate. These plates are generally painted with a selective coating which usually absorbs and retains heat better than the ordinary black paint. The Solar thermal collector plates are made of mostly copper or aluminum as these two metals are used in specific as they are good heat conductors. This technology is mainly used in residential buildings where the need for hot water has a huge impact on energy bills.